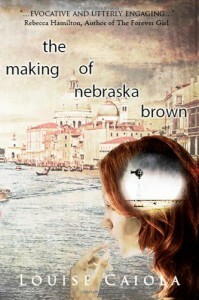 The Making of Nebraska Brown is a new adult mystery that drew me in and kept me guessing until the end. I had numerous ideas for Ann/Ana's memory loss, but the actuality threw me for a loop. This story is an emotional ride, full of heartbreak and some tears. It must be so hard to lose basic memories and be stuck in a foreign country with a man you don't remember. Ann is one confused girl. There are huge holes in her memory, in fact she's lost almost two years. Now she's in Italy with no recollection of how she got there, with an attractive man, Tommy, at her side saying he's her boyfriend. Weird. As Ann gains more and more of her memories, she's torn, trying to decide what's real. I did not like Tommy. He came across as disingenuous and rather insincere. 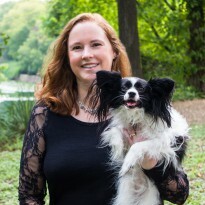 Ann's friend, Renata, is a breath of fresh air compared to Tommy and his secrets. This novel is difficult to put down. Ms. Caiola does a great job drawing the reader into the mystery. Hints are dropped throughout, but not enough to give away the ending, which as I stated earlier is surprising. I'm still not sure how I feel about it. I will say it made me think, made my heart ache, and made me cry. The characters are so well-written, from Ann and Tommy to Ann's friends and family. The Making of Nebraska Brown is one of those books that has it all: great characters, exotic locale, and an engrossing mystery. I highly recommend adding this to your TBR list, especially if you like a good mystery.